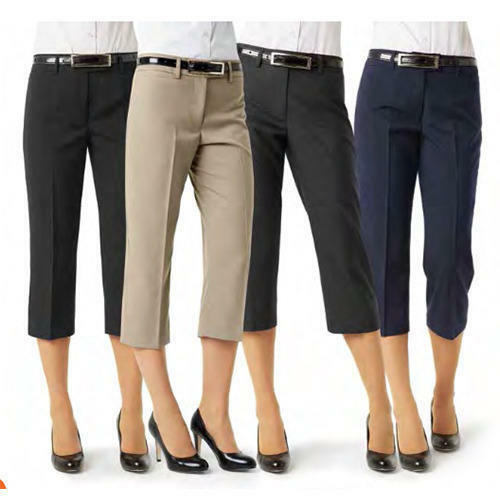 Providing you the best range of ladies formal bell bottom trouser, ladies formal office trouser and ladies cotton 3/4th trouser with effective & timely delivery. We have surpassed the competition by offering best in class Ladies Formal Bell bottom Trouser. Featuring quality approved composition of polyester and viscose the offered trousers are gaining huge acclamation across the fashion industry. Working women like the texture and feel of these trousers that can be worn all day long. 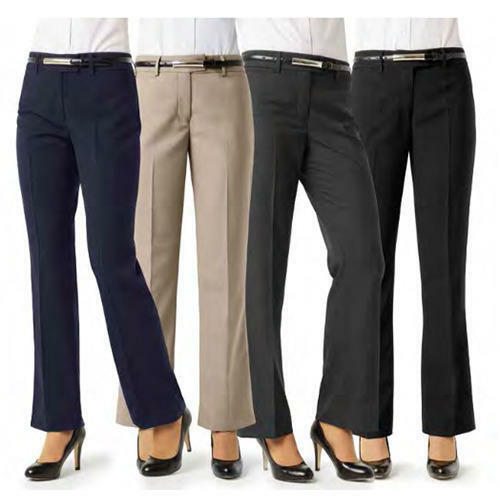 Further, polyester makes these trousers dust repellent and easy to wash.
We have gained huge acceptance as major firm of top quality Ladies Formal Office Trouser. We have expertise is designed formal outfits, as our fashion designers are well versed with the evolving trends and style preferences of modern women. These trousers are designed with wide pockets and sleek waistband that adds elegance to the look. 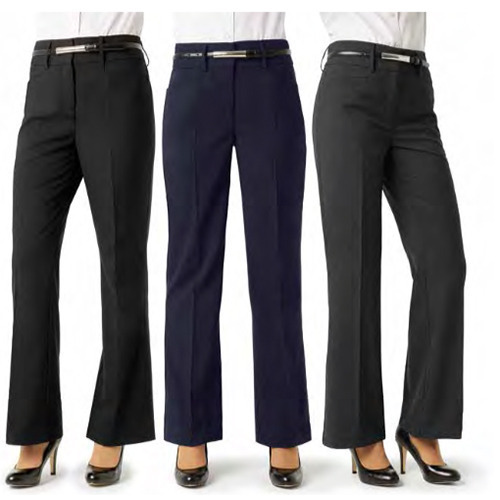 Further, the soft and shrink resistant trousers can be teamed with any color of shirts and blouses. Owing to our wide industrial expertise, we are capable of offering exquisitely designed Ladies Cotton 3/4th Trouser. The sleek look and clean crease of these trousers made us the most preferred entity offering high quality working wardrobe collection. These trousers are available in varied colors ranging from light to dark shades and the premium texture is sure to complement all kinds of shirts and blouses.